One of the key advantages of Linux desktops in general is the fact that they can be customized to meet any particular preferences. In this chapter of Ubuntu Essentials we will look at changing the theme used by the Ubuntu 10.10 GNOME desktop environment. 1 What is a Desktop Theme? Controls - Define how items such as pushbuttons, toggles and sliders appear. 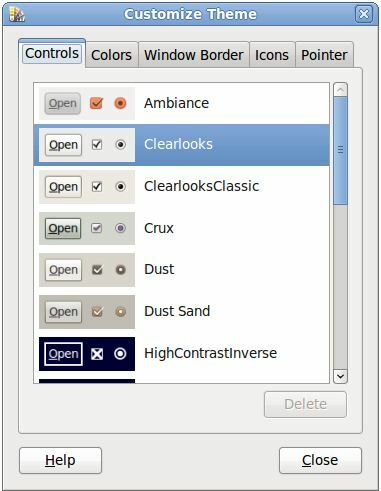 Colors - Specify the color scheme of windows, input boxes, selected items and tooltips. A different color is specified for each item. 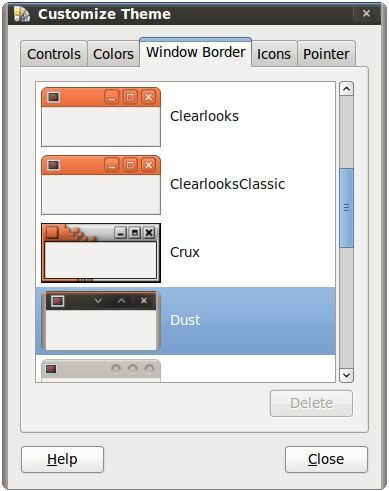 Window Border - The design style of the border surrounding each window on the desktop. Icons - Defines the design of icons which appear on the desktop (for example Folder, Trash and Computer icons). Pointer - Defines the size and style of the mouse pointer icon. A number of different themes are installed by default with Ubuntu. In addition, a wide range of other themes are available for download. Also, a theme may be further customized if you do not like a certain aspect of a particular theme. Note that themes are not considered to be a system-wide setting. This means that changes made to the current theme affect only the currently logged in user. Other users will still see their preferred theme when they log in. The desktop themes define the color and shape of the decorations around the Windows and the color schemes used for the foreground and background of dialog contents. By default Ubuntu uses the Ambiance theme. A number of pre-installed themes are also available for selection, and many themes are available for download online. To install a new theme from the list simply select it and click on the Install.... button. The desktop will immediately change to reflect the new theme. 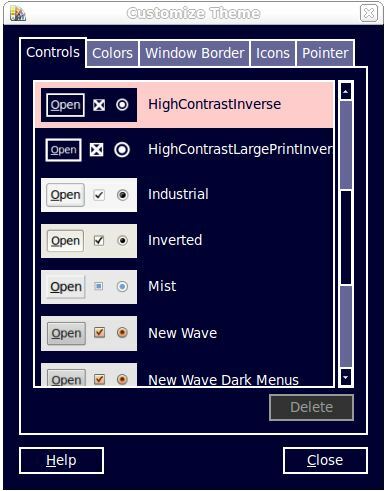 Colors can be changed by selecting the Colors tab of the Customize Theme dialog and changing the color settings for the window borders, text input fields and text selection highlighting. Although Ubuntu is installed with several different theme options, in reality this represents a small subset of themes that are available online. A wide range of themes are available for download from http://art.gnome.org/themes. This site may be accessed from within the preferences dialog by clicking on the Get more themes online link. The themes are downloadable by theme sub-category (i.e. Window Border, Icons etc). Let's start by installing a new Window Border theme. On the GNOME Art website click on the Window Borders link. 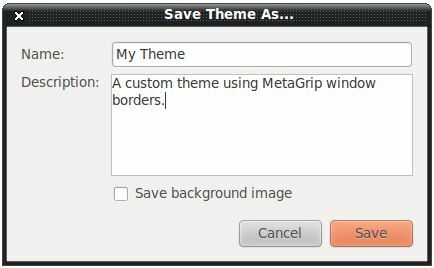 This will filter the list of themes so that only Window Border themes are displayed. 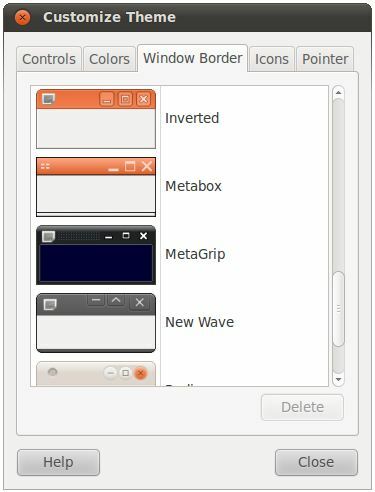 Scroll down the list and click on the download button for a theme that is not currently available on your Ubuntu installation (for this example we will use the MetaGrip theme). A download dialog will appear providing the option to either save the file to disk or to load it into the Theme Installer. If you elect to use the Theme Installer during the download process the theme will automatically be added to the theme library once it has been downloaded. Once the theme has been added you will notice that it does not appear on the main screen of the Appearance Preferences Theme page. This is because this is a Window Border theme, not an entire desktop theme. It can, however, be used to create or customize a theme package. Any theme may now be used to either customize an existing theme, or to create a new desktop theme. Scroll up and down the list of themes until you find the new theme (in this case the MetaGrip theme). Select the theme and watch the desktop window borders change instantly to this new style. Spend some time changing some of the other theme settings such as text colors and icon and pointer styles. When you have a new theme that you are happy with simply close the Customize Theme window. Once the theme is saved it will appear in the list of available theme packages along with the standard Ubuntu themes.